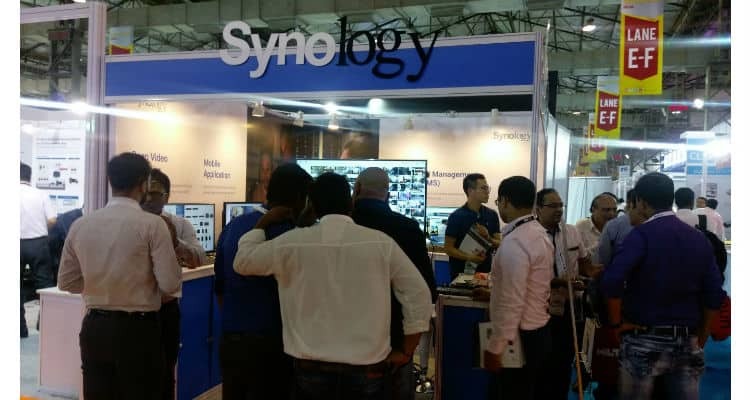 Synology showcased Surveillance Station 8.1, an intelligent monitoring and video management system with reliable and intuitive user interface, as well as an all-in-one, standalone surveillance solution — NVR1218 and PC-less live-view and playback solution — VS960HD in an recently held event at Secutech India 2018 in Mumbai. Surveillance Station 8.1 boasts fast performance and provides a complete surveillance solution to users. It features a user interface that emphasizes ease-of-use and multitasking. Its Centralized Management System (CMS) designed for enterprises is easy-to-integrate and scalable for different needs. It also has a mobile application which provides optimal remote video monitoring experience. Apart from that, its Deep Video Analytics (IVA) system is equipped with deep learning technology. Synology Network Video Recorder NVR1218 is equipped with a dedicated 1080p HDMI port, which makes it easy to connect to a monitor and display up to 12 channels of surveillance feeds at 720p/30FPS. With a dedicated COM port to support point-of-sale (POS) system integration, NVR1218 combines transaction records with surveillance camera footages. NVR1218 includes four free camera licenses. It can be deployed and set up easily without requiring a computer or Internet connection, which is convenient for first-time system installation in remote or secure locations without external network access. Synology Visual Station VS960HD is a palm-sized video decoder that comes with dual HDMI ports supporting 4K and 1080p resolutions respectively, allowing monitoring of up to 96 channels of real-time IP camera streams at 720p/10FPS in a single 4K display monitor. When configured with a paired Synology NAS or NVR running Surveillance Station 8 and onward, VS960HD supports the main features of Surveillance Station such as Live View, Timeline, and Recording List. VS960HD provides a cost-efficient TV wall solution to meet monitoring needs. Synology Participated At Secutech India 2018 0 out of 5 based on 0 ratings. 0 user reviews.